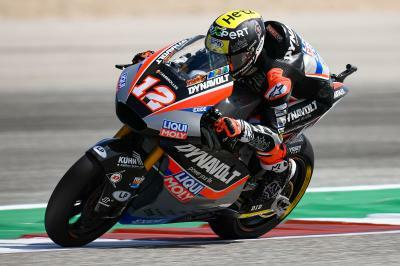 Dynavolt Intact GP’s Marcel Schrötter followed up his Friday form with more Moto2™ dominance at the Red Bull Grand Prix of the Americas after the German backed-up his top spot finishes in both of yesterday’s sessions to bag a second pole position of the season. After taking pole at the opening round in Qatar, Schrötter will again line-up on pole after setting a 2:10.875 with his final lap of the session to beat out Alex Marquez (EG 0,0 Marc VDS) by just 0.058 of a second. 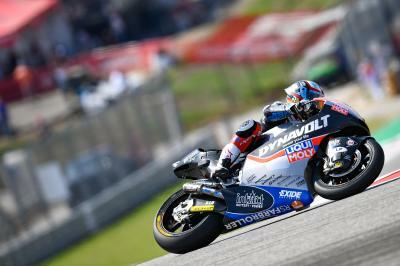 And it's POLE for @MarcelSchrotter!!! ???? 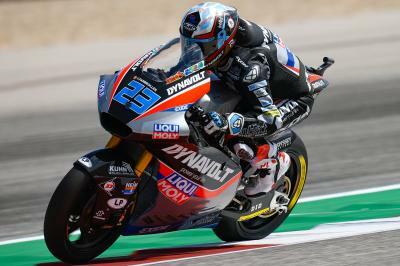 The Italian and the Spaniard will be joined on the front row of the grid by Britain’s Sam Lowes (Federal Oil Gresini Moto2) after the 2015 Moto2™ Americas GP winner secured a fourth consecutive front row start at COTA in the intermediate class. After a mistake on his final flying, Dynavolt Intact GP’s Tom Lüthi was pushed back onto the second row of the grid and will be joined there by Red Bull KTM Ajo’s Brad Binder, after the South African made it through from Q1 earlier. Rounding out row two and starting from sixth on the grid is Jorge Navarro (Beta Tools Speed Up) with the Spaniard half a second adrift of Schrötter. On his return to the Moto2™ class, Mattia Pasini (Flexbox HP40) ended an impressive seventh but there was disappointment on the opposite side of the garage, with championship leader Lorenzo Baldassarri only managing fifteenth and a fifth row start. 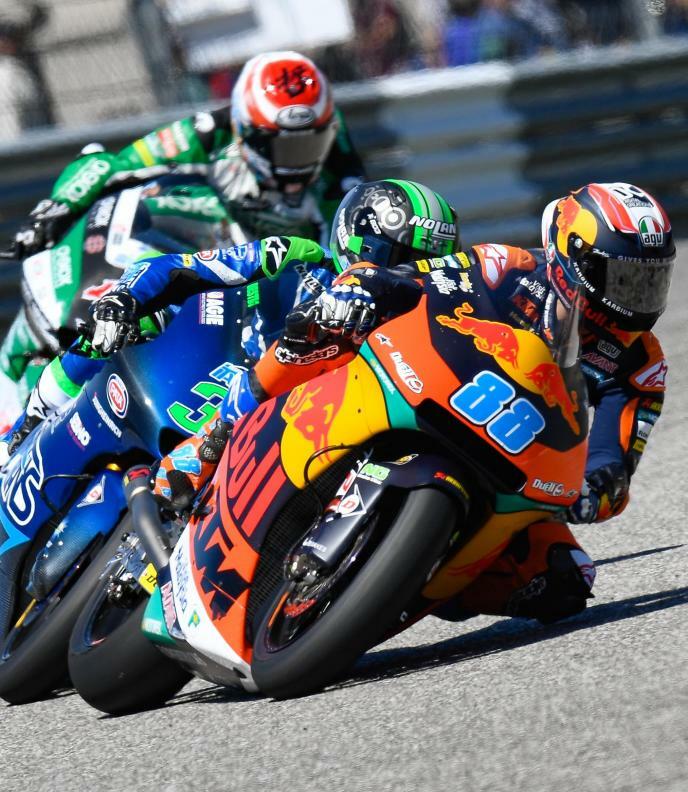 Red Bull KTM Ajo’s Jorge Martin secured a career best Moto2™ qualifying in eighth, 0.033 seconds ahead of Simone Corsi (Tasca Racing Scuderia Moto2) who rounds out row three. 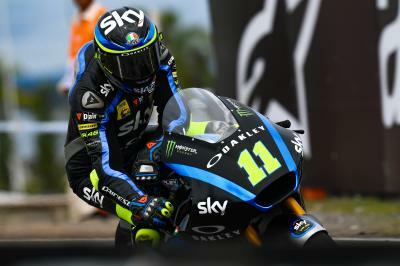 Sky Racing Team VR46’s Luca Marini completes the top ten, which has a few surprise exclusions. 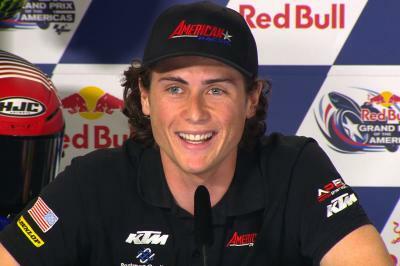 ONEXOX TKKR SAG Team’s Remy Gardner will have a challenge to replicate his debut podium in Argentina after a crash in Q2 saw him end 18th quickest. 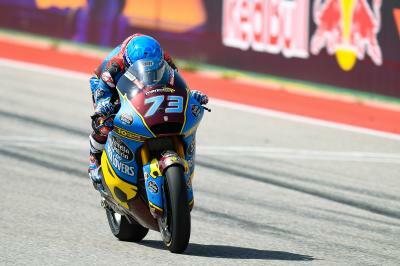 Whilst the pole man from Termas, Xavi Vierge, didn’t even make it into Q2 and will start from twentieth on the grid.